Please remember orders normally ship the same day if placed before 2PM EST, and the next day if placed after 2PM EST. Processing times are for M-F (Saturday & Sunday are not considered business days) plus the estimated time in transit. We offer you many great choices for the delivery of your order. Choose from Standard Ground, USPS FCM, USPS Priority, Express Saver, 2 Day or Overnight service (not available on all items). Please refer to the chart below for the appropriate shipping charges based on the total dollar value of orders shipped within the Continental U.S.
We primarily ship packages: FedEx, USPS or UPS. However, some services and carriers are not available from all warehouse locations. Summit Source is proud to offer overnight delivery. A few overweight or bulky items are not available for overnight shipment. Please e-mail us for shipping charges outside the Continental U.S. Please Note: Estimated transit times for expedited shipments are in business days only, and do NOT include the day of order placement or any weekend delivery dates. If you require Saturday delivery for your shipment it MAY be available for an additional FEE, and you ARE required to contact us IMMEDIATELY (during business hours of 9am-5pm EST. M-F) upon placing your order to notify us of your shipment requirements. 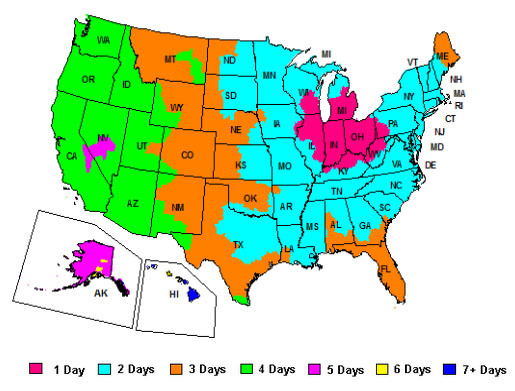 Please allow (1-7+) business days for order processing transit time for the shipment (See Map Below). PLEASE NOTE: Shipping to a P.O. 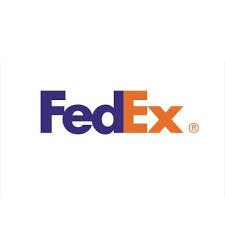 Box or APO/FPO address can only be performed by a USPS service NOT FedEx or UPS. If you want your package shipped to a P.O. Box or APO/FPO address, please make sure to select a USPS level service for your purchase. PLEASE NOTE: Furniture Orders may take 6 - 8 weeks to be built, and shipped after purchase. These shipping charges exclude overweight, large, and/or oversized items (ie: appliances, furniture) and antennas. The total displayed in the shipping column of an order represents the shipping and handling fees to package and ship the items of that order at the time at which it was placed. If you have any questions about shipping charges, email us prior to your purchase.